We completely customize this auto insurance lead generating website for your agency. 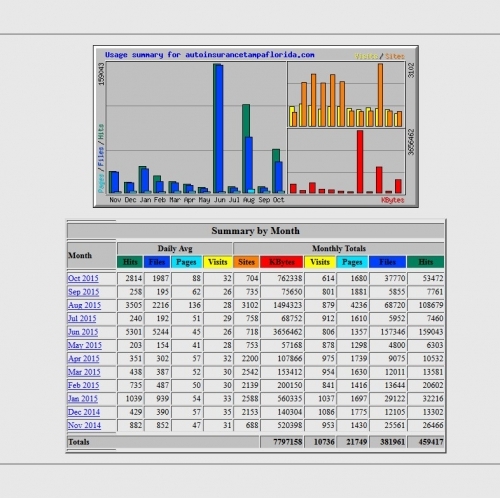 We upload all the files of the website for you. Your logo and desired header. Your contact details and phone number. 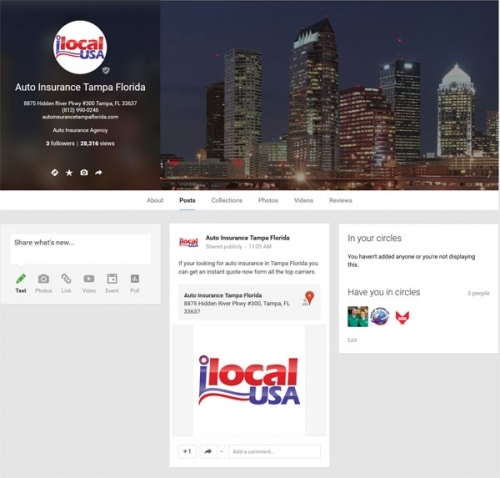 Google+ page will be transferred to you. Google+ page will get your header and logo, contact details changed to your office. Full functioning lead generator form leads go directly to you. You have full back end access with your username and password. No contracts or additional fees. 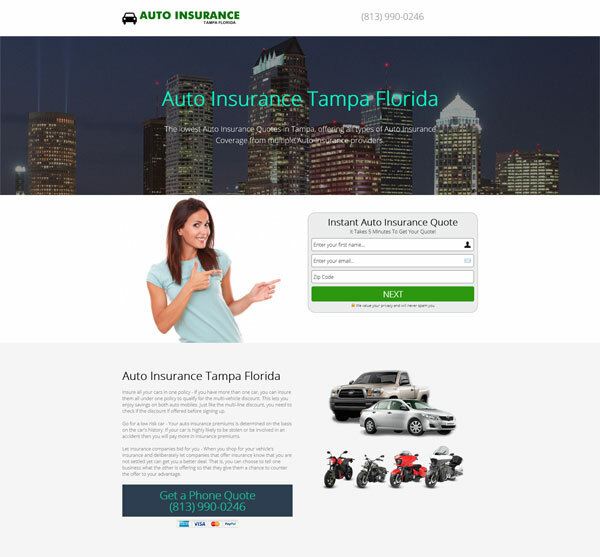 Full functioning seasoned auto insurance lead generator for the greater Tampa Bay area. This domain name is seasoned with an existing lead generator website that currently ranks in the top ten of Google Maps out of thousands of listings.